Welcome to the XI Class Admission Online Application for Session 2019-2020 at www.xiclassadmission.gov.bd. You can apply online for HSC College Admission 2019 via official website www xiclassadmission gov bd. Online application has started on 10 May at 02:00 PM to 24 May 2019 at 11:59 PM. Before apply you may download the Admission instruction from the box. Students can apply online or Teletalk SMS System. But it is easy for online to apply HSC college admission 2018-19. More than 13 lac students passed SSC and equivalent in 2019. All the students will take admission in a various college in Bangladesh. 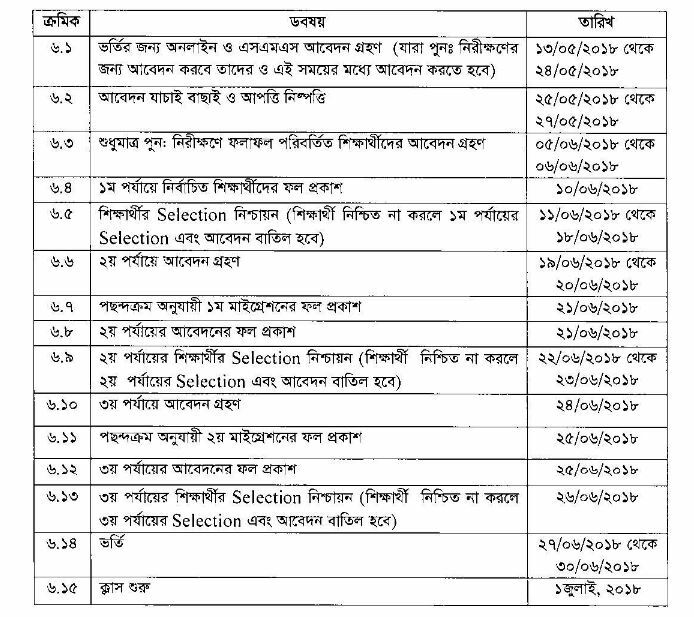 Govt and Non-Govt college in Bangladesh online Applications probable date and time 10 May 2019 at 02 PM and a deadline of application 24 May at 11:59 PM. Bangladesh Education Ministry recognized all College/ Madrasah/ Technical Institute XI Class admission online application and Mobile SMS. Admission related all activities, timetable, Admission Instruction, Application rules and admission result available at www.xiclassadmission.gov.bd and all education board official website. Dhaka Board XI Class admission (HSC College). Jessore Board XI Class admission (HSC College). Barisal Board XI Class admission (HSC College). Sylhet Board XI Class admission (HSC College). Comilla Board XI Class admission (HSC College). Chittagong Board XI Class admission (HSC College). Dinajpur Board XI Class admission (HSC College), Rajshahi Board XI Class admission (HSC College). Madrasah Board XI Class admission (HSC College) and Technical Education Board XI Class admission (HSC College). Education Ministry and Education Board has rights to reserve change, cancel, something adds and deduction in this Admission Instructions. Students can apply for more than 10 colleges by Online (internet) and the Application fee will be 150 Taka applicable. But there will be 120 Taka applicable by Mobile SMS in every application. Both Mobile SMS and Online application fee must pay by Teletalk Pre-Paid SIM. Both Online and SMS, students can apply individually or mixed system. If any students will give wrong information then Authority has to right to reject his/r application. Same Contact Number could not use in many students. Different students will use different Contact number. And Contact Number can not change at any cost. For that be careful to give your Number. SC for Science. HU for Humanities. BS for Business Studies. HS for Home Science, IS for Islamic Studies and MC for Music. SC for Science , GE for General and Mu for Muzabbid. Technical Education Board you may see on the advertisement. Please download the Admission Notice 2017 above link. Shift Code: M for Morning, D for Day, E for Evening and if there is no shift then write N.
Version Code: B for Bangla and E for English. Quota Code: FQ for Freedom fighter, EQ for Departmental quota, SQ for special quota and PQ for abroad quota. If you face any problem during application then please make a call above Mobile number during office period. Still you are in trouble then please write a comments and write our Facebook wall. You will get XI Class Admission Result 2019 of all education board on this page. Just click Menu bar in Result section. HSC College admission result 2019 will appear only at www.xiclassadmission.gov.bd.